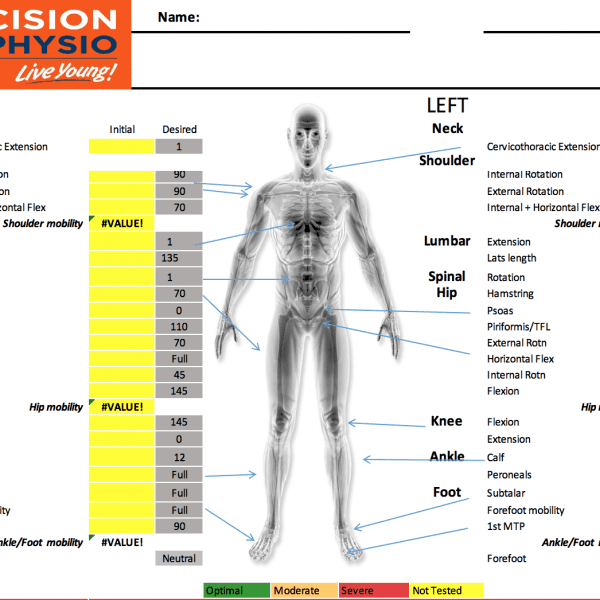 Our highly skilled team of physios at Precision Physio Concord will take you through the assessment and provide you with a clear report and set of personalised recommendations as to how you should go away and work to get the most out of yourself and whatever activity you are undertaking or planning to undertake. The assessment can be done as a one-off, or like with our champion athletes, we recommend filing the results and re-taking on a periodic basis to enable you to track improvements and continue to get the most out of your training, exercise and sport. As a special offer to celebrate the launch of the Athlete Mobility Evaluation at Precision Physio Concord, we are providing the evaluation FREE OF CHARGE DURING NOVEMBER 2018! This offer is available to all (one assessment per person) and to book, simply call us on 02 9736 3950 and quote “Concord Athlete Mobility Evaluation”. Previous Post Exercise Right Week Next Post New Years Resolutions You Can Keep!